Louise first walked in the Formula One pit lane at the 1988 Mexican Grand Prix. She was working with F1 sponsor Camel at the race as part of her duties with a PR consultancy, but it was just the first chapter of a diverse and very successful career in motorsport. Louise’s skills were put to good use by leading motor manufacturers and multi-national sponsors during her time in PR. She also managed media relations for numerous Formula One drivers including Mika Hakkinen, Jean Alesi, Johnny Herbert, Martin Brundle, Eddie Irvine and Rubens Barrichello. 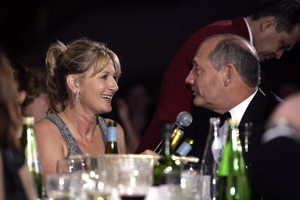 She was Press Officer for the Leyton House Formula One team for three years and Head of Communications at Jordan Grand Prix for five, and it was whilst working for Eddie Jordan that Louise received an approach from ITV. ITV had just won the contract to show F1 in the UK and was putting together a presentation team. Though her TV experience was limited, Louise did have ten years of invaluable F1 expertise. She also had the trust and respect of the drivers and knew who to talk to in the Grand Prix pit lane. And so she joined F1 luminaries Murray Walker and Martin Brundle and became the female face of ITVs new ‘Grand Prix’ programme. Louise spent 12 years working on the multi-award winning show, reporting live from Grand Prix tracks all around the world. Her informed insight and lively banter with the drivers were a key part of the race coverage and her features took viewers right to the heart of one of the most exciting sports in the world. 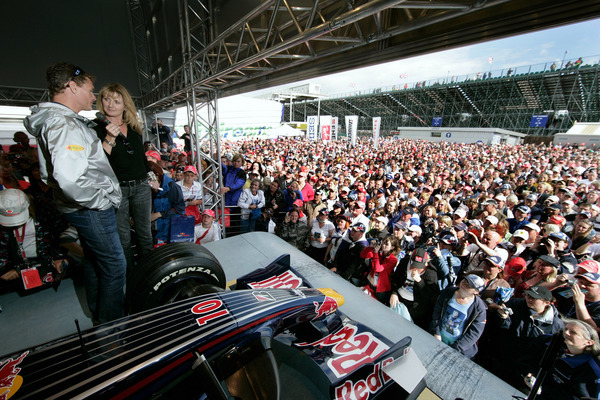 She even became the first woman to take part in an F1 pit-stop, at the 2006 British Grand Prix. Louise has worked on a wide range of other projects. She is currently co-presenting live coverage of the British Touring Car Championship for ITV with Steve Rider and has fronted programmes from The Goodwood Festival of Speed and The Goodwood Revival Meeting for ITV. She has presented live coverage of the Le Mans 24 hour race for Channel 4 and Quest TV, the Car of the Year show for UKTV, co-presented the VXR Racing Driver of the Year for ITV4 and fronted programmes for The Audi Channel and Honda Racing TV. Louise is often called upon to MC at award ceremonies and she has hosted conferences and events for a wide range of corporate clients including Coca-Cola, Castrol, Santander, Goldman Sachs, Vodafone, Audi, Honda, Jaguar and Toyota. She has also been a regular presenter in the 5000-seater ‘Live Action Arena’ at the Autosport International Show. Her radio credits include TalkSport and FOX FM and she has contributed to magazines and newspapers including The Times, The Observer and The Sun. 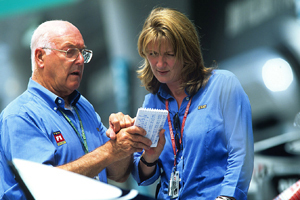 Her book ‘Beyond the Pitlane’ was published in 2000.